What better heightens the sense of horror than things that make the skin crawl? From blood-sucking leeches to slithering snakes, America’s most daring game show Fear Factor takes contestants through a series of stomach-churning challenges as they attempt to overcome their worst nightmares made flesh. RTL CBS Extreme’s Halloween Weekend Special starts at 6:00AM on October 28, Saturday, and runs until October 29, Sunday. 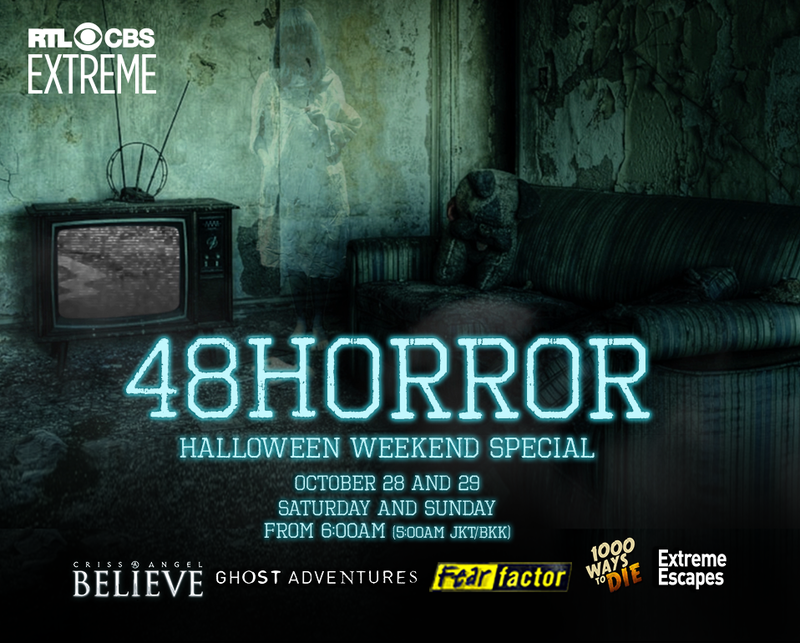 RTL CBS Extreme is available on SKYcable channel 104 (SD) and 209 (HD), Destiny Cable Digital channel 104, and Cablelink HD channel 310.